For readers who can understand french we add the digital software called Mischief to our list of applications. Now you know how to use this soft with your Wacom tablet and specially for a device with multitouch (Cintiq HD touch and Cintiq Companion range). 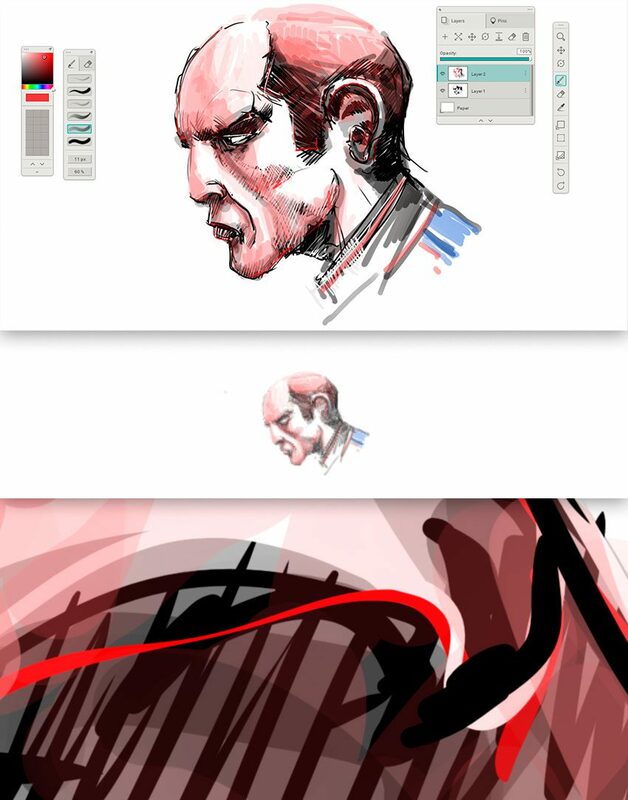 If you can draw on an infinite canvas you can also use your fingers to manipulate your drawing. Infinite zoom in/ou and rotation with perfect moves. For information Rita was the previous software to get an infinite canvas. Click on this link or on picture below to access to Mischief page.